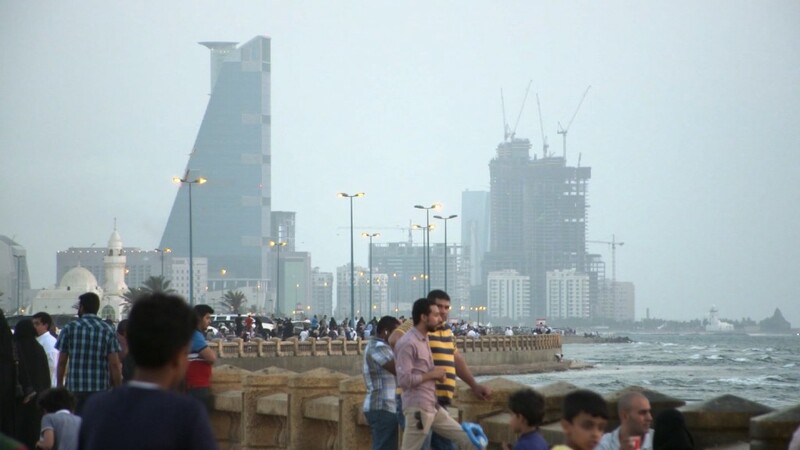 Saudi Arabia plans to build a new $500 billion metropolis that spans three countries. The development, called NEOM, was announced at a conference on Tuesday by Saudi Crown Prince Mohammed bin Salman. It's the latest in a series of mega projects designed to reshape the kingdom's economy. It is nothing if not ambitious. "We try to work only with the dreamers," the young crown prince told investors gathered in Riyadh. "This place is not for conventional people or companies." Plans call for the city to be powered entirely by regenerative energy, while also making use of automated driving technology and passenger drones. Wireless hi-speed internet will be free. "All services and processes in NEOM will be 100% fully automated, with the goal of becoming the most efficient destination in the world," the Saudi Arabia Public Investment Fund said in a statement. The city, which will be independent of the kingdom's "existing governmental framework," will be built across 26,500 square kilometers (10,231 square miles) near the Red Sea. According to the fund's statement, its land mass "will extend across the Egyptian and Jordanian borders." "NEOM will be constructed from the ground-up, on greenfield sites, allowing it a unique opportunity to be distinguished from all other places that have been developed and constructed over hundreds of years," the fund said in a statement. The project will be backed by $500 billion from the Saudi government and its investment fund, as well as local and international investors. It has caught the attention of foreign investors including SoftBank (SFTBF) founder Masayoshi Son and Blackstone CEO Stephen Schwarzman, who joined the crown price on a panel dedicated to the project. "NEOM is a fantastic opportunity," Son said on Tuesday. "In the beginning, I didn't understand. But when I visited the location, I said 'Wow.' "
Son said his Softbank Vision Fund, which counts Saudi Arabia as its biggest investor, would put money toward the new project. The crown prince said there no set timeline for the development. "This is a challenge," he said. "We know this takes time ... we are under pressure to deliver something new and to give innovative ideas." Saudi Arabia has made a string of big announcements recently that are aimed at diversifying its economy away from oil. The country said in September that it would pump almost $3 billion into its entertainment industry. In August, it launched a tourism project that consists of 100 miles of sandy coastline and a lagoon with 50 islands. The project even caught the eye of billionaire Richard Branson. A year and a half into the efforts, officials have made progress on some parts of the broader plan -- known as Vision 2030 -- but also flip-flopped on others. The government has cut some subsidies, announced new taxes and lifted a controversial ban on women driving. It also tapped global bond markets three times in less than a year, borrowing billions to balance its books.